Darwin's Natural Raw Cat and Dog Food - A Trusted Raw Food Brand! Darwin’s Natural Raw Cat and Dog Food- A Trusted Raw Food Diet for Your Pets! The raw food craze for our pets is becoming increasingly popular for so many reasons. It is truly one of the healthiest ways to ensure our beloved cats and dogs get a completely healthy, fortified diet. And, while a raw food diet seems ideal for your pets, it does takes a lot of time, effort and energy to prepare the meals. But, worry no more! Darwin’s Natural Raw Dog and Cat Food offers healthy, balanced, properly prepared raw food delivered right to your door. When you order your raw dog or cat food from Darwin’s Natural, you know that your pets are getting a healthy, quality raw meal diet at affordable prices. Their prepared meals use only free-range, grass-fed beef, cage-free poultry and organic vegetables. All the meat they use is hormone free, steroid free and antibiotic free. Darwin’s even goes as far to visit the farms that raises the animals to make sure they employ good farming practices and treat both their animals and employees with respect! Darwin’s Natural raw dog food meals are healthy, hearty and balanced. Darwin’s all-raw dog food meals are complete and balanced. They are made of 75% real meat and 25% fresh vegetables with a small amount of nutrient mix with important trace minerals from natural sources. There are no grains in their meals as grains are difficult for dogs to digest. Their moderate fat and low carbohydrate formula has a careful balance of Omega 6 and 3 fatty acids, and essential minerals that exceed the guidelines of both AAFCO and the National Research Council for canine nutrition! There are no steroid, hormones or antibiotics. Cats are obligate carnivores and don’t produce the enzymes required to digest carbohydrates. That’s why Darwin’s made their meals for cats with 100% fresh meat and a small amount of nutrient mix containing important trace minerals from natural sources. There are no grains in any of the cat meals. The protein comes from real meat, not from vegetable sources or commonly-used “meat byproducts”. All their cat food meals are complete and balanced. Like their raw dog food, the moderate fat formula has a balance of important Omega 6 and 3 fatty acids with added essential minerals from natural or organic compounds that also exceed the guidelines of both AAFCO and the National Research Council for feline nutrition! No skimping there. 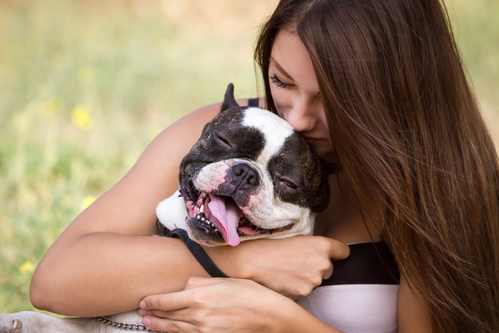 Affordability is a huge concern when it comes to choosing your pet’s meals. But, choosing raw can be affordable. Darwin’s direct from the manufacturer to your door makes their high quality food available to almost every pet owner. Darwin’s home delivery service works on a flexible automatic order basis. 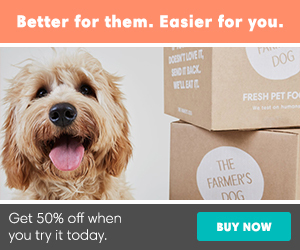 You can tailor your order size to your pet’s individual needs and set a convenient delivery schedule. There is no contract or commitment. You can change or cancel your order at any time. All Darwin’s meals are made fresh, then immediately frozen in vacuum-sealed packages to preserve quality and nutrition naturally. It is then shipped directly to you in insulated containers. All you have to do is simply thaw and serve! There are so many reasons to try Darwin’s Natural Raw Pet Food. 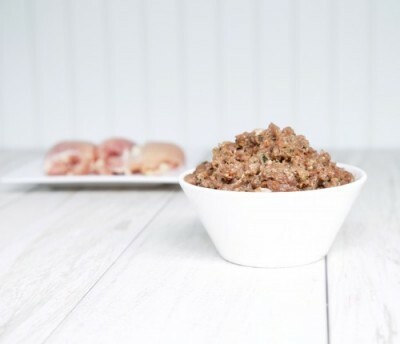 If you are new to raw feeding or want a quality trusted brand, you can feel great that you are feeding your pets’ healthy, made-to-order raw meals that are affordable, safe and the correct balance of nutrients. Make sure to order some today from Darwin’s Natural. You and your pets will be happy you did! What the Experts are saying about Darwin’s Natural Pet Food. “Darwin’s only uses fresh, high quality ingredients and has excellent food safety. I am thrilled that my dogs love their food and how healthy they are because of it.